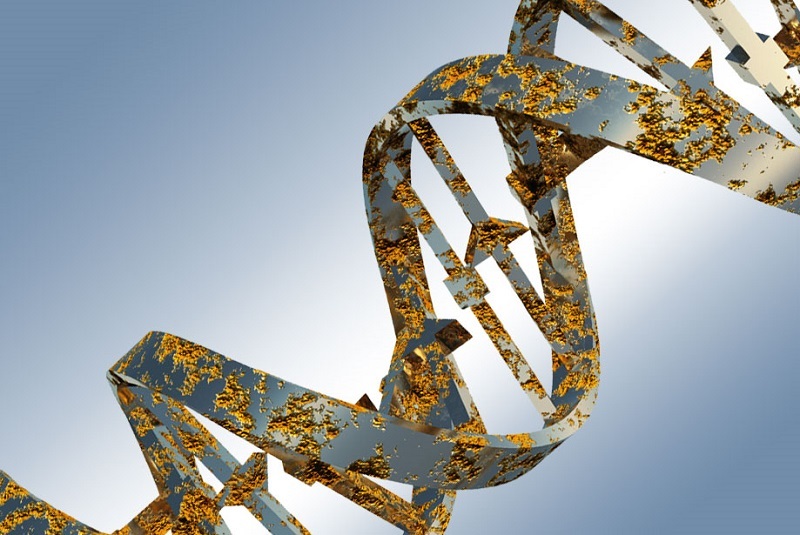 New technology identifies DNA damage in patients undergoing CT scanning. The use of medical imaging for heart disease has exploded in the past decade. These tests expose patients to a nontrivial amount of low-dose radiation. However, nobody really knows exactly what this low-dose radiation does to the patient. Now, researchers from Stanford University have shown that cellular damage is detectable in patients after CT scanning. The team state that the new study has shown that even exposure to small amounts of radiation from computed tomagraphy scanning is associated with cellular damage. They go on to add that whether or not this causes cancer or any other negative effect to the patient is still unclear, however, these results should encourage physicians toward adhering to dose reduction strategies. The study is published in the Journal of the American College of Cardiology: Cardiovascular Imaging. Previous studies show that along with the burgeoning use of advanced medical imaging tests over the past decade have come rising public health concerns about possible links between low-dose radiation and cancer. The worry is that increased radiation exposure from such diagnostic procedures as CT scans, which expose the body to low-dose X-ray beams, can damage DNA and create mutations that spur cells to grow into tumours. However, there has been limited scientific evidence to date that shows the effects of this low-dose radiation on the body, according to the study. Currently, there is a bill winding its way through Congress to fund more research on the health effects of low doses of radiation. The current study’s findings point to the need for more research. In 2007, the National Cancer Institute estimated that 29,000 future cancer cases could be attributed to the 72 million CT scans performed in the country that year. However, the reliability of such predictions depends on how scientists measure the underlying link between radiation and cancer in the first place. Because not much is known about the effects of low-dose radiation it is assumed it’s directly proportional to the dose. The team wanted to see what really happens at the cellular level. The current study shows that there are legitimate concerns about the exposure to low-dose radiation, however, the problem is that it is difficult to prove a causal relationship with cancer. The team stress that even though the data findings show some damage is occurring at a cellular level, this damage is being repaired. They go on to add that it is the damage that escapes repair, or the cells that are not eliminated and are mutated, that go on and produce cancer. The researchers note that they can’t track those cells with current technology. The researchers examined the effects on human cells of low-dose radiation from a wide range of cardiac and vascular CT scans. These imaging procedures are commonly used for a number of reasons, including management of patients suspected of having obstructive coronary artery disease, and for those with aortic stenosis, in preparation of transcatheter aortic valve replacement. The results show that a CT scan, which is used for imaging and diagnostic procedures throughout the body, exposes patients to at least 150 times the amount of radiation from a single chest X-ray, the study said. The blood of 67 patients undergoing cardiac CT angiograms were examined in the current study. Using such techniques as whole-genome sequencing and flow cytometery to measure biomarkers of DNA damage, researchers examined the blood of patients both before and after undergoing the procedure. Results showed an increase in DNA damage and cell death, as well as increased expression of genes involved in cell repair and death. Although most cells damaged by the scan were repaired, a small percentage of the cells died. The team state that these findings raise the possibility that radiation exposure from cardiac CT angiography may cause DNA damage that can lead to mutations if damaged cells are not repaired or eliminated properly. They go on to conclude that cumulative cell death after repeated exposures may also be problematic. The researchers surmise that the medical community need to learn more because it’s not a benign effect even at these low dosages. They go on to add that their research supports the idea that maybe physicians shouldn’t just use the best image quality in all cases. They lab advise that doctors shouldn’t eliminate CT scans because they’re obviously important, however, they can make it safer by reducing the doses, by getting better machines and technology, and by giving patients something to protect them. The team stress that it is important to note that they did not detect any DNA damage in patients receiving the lowest doses of radiation and who were of average weight and had regular heart rates. ©2015 Enzo Life Sciences, Inc.